Microsoft has just released a bunch of new firmware and driver updates for Microsoft Surface Book devices. The new update brings new 9 improvements to the device’s components. It will improve multi-touch and pen connectivity when the device wakes from sleep, video performance in some applications, device graphics performance, Cortana speech recognition, storage performance, and system performance. According to the release notes available on the Surface Book update history page, here are the full changelog of the update. 2.0.99 improves multi-touch and pen connectivity when the device wakes from sleep. 09.21.00.2853 improves video performance in some applications. 23.21.13.8808 improves device graphics performance. 6.0.1.8242 improves Cortana speech recognition. Microsoft also mentions that the update will overall improve device’s reliability, connectivity, compatibility, and performance, while has no effect on security and battery life. 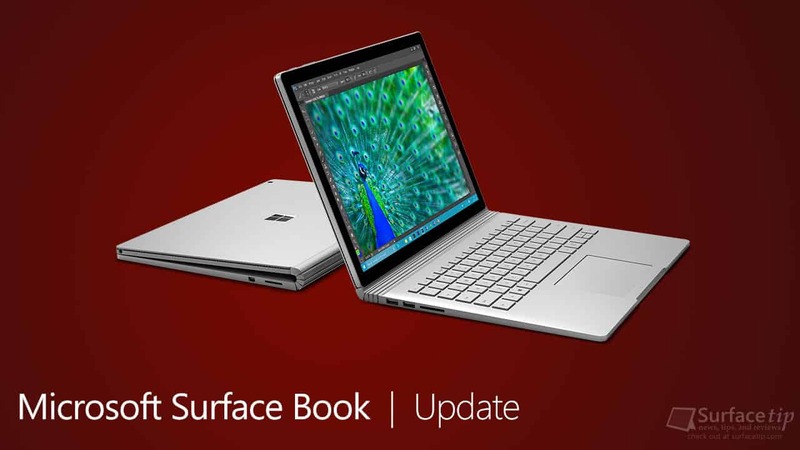 You can also download cumulative and current firmware and drivers for Surface Book here. If your Surface Book hasn’t yet installed the update, it should be displayed in the Windows Update now. We appreciate hearing your thoughts, questions, and ideas about “Microsoft Surface Book get firmware and driver updates for December 2017”. Please post respectful comments and on topic. We will be replying back to you as soon as possible. Share your idea about "Microsoft Surface Book get firmware and driver updates for December 2017".